​Providing expert conveyancing for property buyers and sellers across Sydney and the wider NSW region. ​​Why Choose Capital Conveyancing Services? ​We are a leading NSW Conveyancing specialist committed to providing a highly efficient and professional conveyancing service. Our aim is to ensure that everything is kept simple and hassle free, whilst maintaining a prompt and personal approach to your needs. At Capital Conveyancing Services, you will be appointed a professional and qualified Licensed Conveyancer who will manage your file from start to finish and keep you regularly updated by phone or email. Your conveyancer will check and explain all aspects of your sale or purchase. That way you understand the nature of the transaction before you sign, eliminating risks and stress from the whole process. ​What Can Capital Conveyancing Services Do For You? 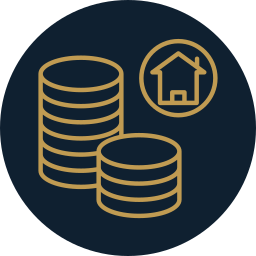 ​With our no-fuss conveyancing, we will assist you every step of the way to ensure your transaction proceeds as smoothly as possible while we protect your interests the whole way through. ​We are Licensed Conveyancers based near the Sydney CBD, representing clients buying or selling residential or commercial real estate in all areas of Sydney including the Lower North Shore, Upper North Shore, Eastern Suburbs, Northern Beaches, Inner West and Western Suburbs. No matter where you are, our hassle-free professional conveyancing is conveniently delivered to you, communicating with you by phone, through email and post. ​Learn more about our conveyancing services. Contact us now and one of our friendly staff will get in touch with you shortly for a free, no obligation consultation. ​​Conveyancing with no fuss. Contact us today for a free, no obligation consultation.